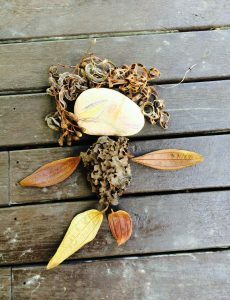 Natureweavers Forest School are the pioneers of nature play and learning for children on the Sunshine Coast in Australia. Natureweavers Forest School is Queensland’s longest running forest school, offering programs including a weekly bush kinder and forest school, nature playgroups, homeschool programs, professional development for teachers and parents, seasonal celebrations, weekend programs, holiday programs, family rewilding sessions and camps. Natureweavers Forest School invites children to make friends with nature from a very young age, and to nurture that friendship throughout their lives. We do this by inviting children to engage with their local landscape through play that is rewarding, risky and real. It allows them to achieve wondrous feats, marvellous creations and epic journeys, and at other times to fall from trees, shake their confidence and head home with a gumboot full of soggy mud. 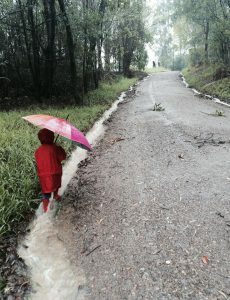 As children grow, so, too does their relationship with their backyard, their local park, the bushland at the edge of town, their region, their country, their world. At each stage of this growth, the interplay between children and nature offers new opportunities to explore and relate, and the consequent deepening of the friendship between the child and the earth. Natureweavers Forest School captures these opportunities and nourishes this relationship with the intent to raise the next generation of Earth Warriors – for when children consider the wind, the trees, the frogs and the seas to be their friends, they are more likely to protect them if and when the need arises. And, as friendship is a partnership, so, too, can the forest be an enduring, dear friend to the child seeking comfort in the challenging times throughout their lives. 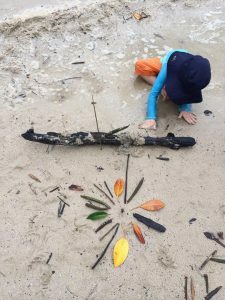 Based in Black Mountain in the Noosa hinterland, Natureweavers Forest School have been working with children from age 0-16 in wildspaces since 2010.